While NetEnt keeps on strengthening its position in the first US market they entered, the one in new Jersey, the company recently announced it was time to enter a second state, Pennsylvania. 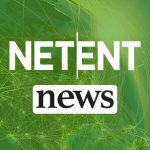 Following this exciting news from NetEnt, the company now announced it signed a customer agreement with Penn Online Entertainment, LLC, a subsidiary of Penn National Gaming’s Penn Interactive Ventures, for the new regulated online casino market in Pennsylvania (US). While the iGaming market is opening up again in the US, regulations differ from state to state. In the majority of the states, online gambling is prohibited and only a few started the process of regulating online gambling. So far, four US states legalised online gambling including New Jersey (all online games), Nevada (poker), Delaware (all online games), (while it was in October 2017 that also Pennsylvania legalised online gambling). After monitoring the US iGaming market for years, it was halfway 2014 NetEnt believed the prerequisites and timing were right to intensify its efforts to enter both the United States and Canada. 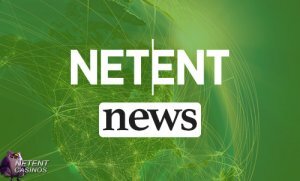 NetEnt announced its expansion into the upcoming North American iGaming market with an initial focus on New Jersey and with Björn Krantz, the then Managing Director of NetEnt Malta Ltd, to lead the expansion. Not long after, NetEnt received its first transactional waiver from the New Jersey Division of Gaming Enforcement to go live in New Jersey, a huge milestone for the company. The next four years seemed to be a true roller coaster for the company with an incredible numbers of customer agreements signed in the state including bwin.party, the Borgata brands, Caesars, Golden Nugget, Resorts Casino, PokerStars, Tropicana, and Hard Rock Hotel & Casino Atlantic City. NetEnt’s journey in Pennsylvania just took off with the first announcement regarding this market published in September! It was in October 2017 that the Pennsylvania’s state legislature approved the bill that allows online casino gambling but it took a while before NetEnt filed the application for the approval of the company’s casino licenses. Once approved by the Pennsylvania Gaming Control Board (PGCB), Pennsylvania will be the second state in the US NetEnt is allowed to offer its popular range of online casino games. The choice for Pennsylvania is easy to explain as it’s the second large US state to regulate online gambling and has a lot of potential with almost 13 million people, the fifth largest state by population. Pennsylvania has a long tradition of gambling on the land-based side with 12 casinos available in the state. These brick-and-mortar casino operators had the first shot at online gambling licenses in the state and so far five licenses have been approved including the Parx, Harrah’s, Mount Airy casinos, Hollywood Casino, and SugarHouse. While getting prepared to enter the new regulated online casino market in Pennsylvania, the company signed its first customer agreement in the state. The agreement was signed with Penn Online Entertainment, LLC, a subsidiary of Penn National Gaming’s Penn Interactive Ventures. Penn Interactive Ventures, the online gaming arm of Penn National Gaming, aims to create the best online gaming customer experience available thanks to creative outreach, innovative product design and world-class engineering. Penn Interactive operates the mobile and desktop apps HollywoodCasino.com, Viva Slots and HollywoodRaces.com, which offer more than 100 of the most exciting online video slots while players van easy wager for horse racing as well. As soon as NetEnt either receives approval for its casino license or a transactional waiver, the implementation of the NetEnt Games including popular titles such as Starburst™, Gonzo’s Quest™, Jumanji™, Planet of the Apes™, and BerryBurst Max™ can start.